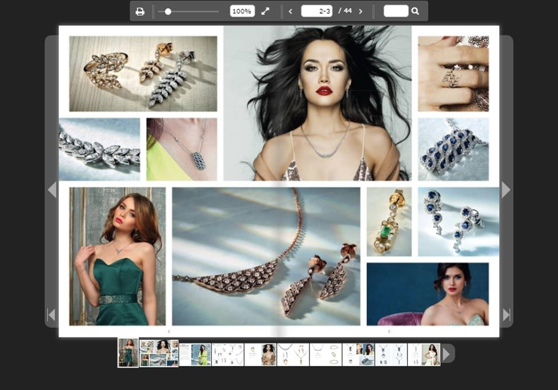 We are delighted to say that 2017 has been another stellar year for Domino Jewellery, with awards won, four new product launches, advances in manufacturing, successful shows and much more. We have certainly been keeping busy! As 2018 approaches with gathering speed (where has all the time gone!? ), we can look back on the past year with fondness and thank all our staff, as well as our retailers, for all the effort that has gone into making 2017 a successful year. 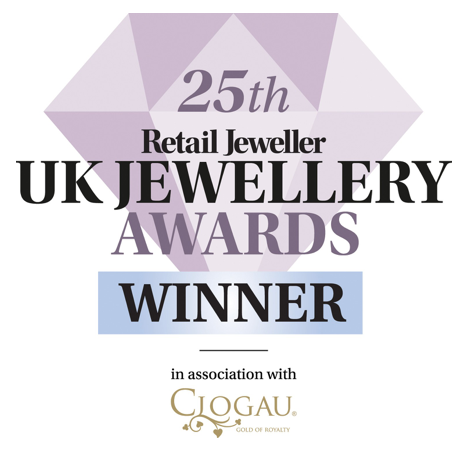 Retail Jeweller's 25th UK Jewellery Awards was certainly one to remember. Domino scooped Supplier of the Year, being recognised for our levels of customer service, high quality products and our innovation in designing and manufacturing new pieces. WB The Creative Jewellery Group, our parent company, were awarded Ethical Jewellery Business of the Year, reflecting our efforts in attaining RJC accreditation and maintaining ethical, sustainable working methods. As a business, we are extremely thankful for receiving these awards and hopefully next year will see Domino grow onward and upwards. The launch of our Anthology range at IJL in September saw us delve into a new retailing concept. Focusing on diamond and coloured-stone jewellery, Anthology is made up of a number of collections, each inspired by its own story. This range was designed to give the end consumer a wider range of choice that in traditional suites. Sales of Anthology have been strong since the launch and look set to continue in the New Year with retailers giving us some amazing feedback. Designed in house, Anthology gave our product development team another chance to be creative and explore new avenues.The 10 collections within Anthology are perfect for in store window displays, offering retailers the chance to up-sell and gain add-on sales. As well as expressing our creativity in terms of product design, we also took a step forward in a digital sense. Anthology is the first of our launches to be released by way of a digital look-book, which can be found online here.This digital brochure is designed for retailer ease of access, so they can show customers our Anthology families and individual products as well as retrieve live prices instantaneously.Our live price checker is another new development that allows retailers to see multiple price points for products quickly and easily. This provides the ability to compare prices for different alloy combinations, stone sizes and diamond qualities in seconds. This year we have invested heavily in micro-setting. This involved training our staff as well as bringing in new equipment. Our diamond-setters are now proficient in the art of micro-setting, which adds significantly to the range of products that are manufactured in-house at our facilities in the heart of Birmingham's famed Jewellery Quarter. We are proud to say that our entire 2017 Diamond Ring Mount collection is now both designed and manufactured here at Domino. By micro-setting in house, we have improved our service levels by reducing prices as well as cutting down lead times by 10 days! We were delighted to introduce a new alloy for our wedding ring collection.Platinum Gold provides outstanding quality and brilliant white colour. We currently have the sole rights in the UK to manufacture using Platinum Gold, giving our retailers a real edge in the wedding ring market. Platinum Gold has a precious metal content of 97.3%, much higher than standard Platinum. The 2017 DRM range, released in July, has been another great success for us this year. Featuring a host of new pieces â including the aforementioned semi-set mounts â DRM offers over 90 trend led designs from traditional solitaires and clusters to creative lifestyle rings. Available unset, semi-set or fully finished depending on style, with a wide choice of alloy combinations, we have products to suit the needs of each and every customer. In order to expand on our popular range of classic and traditional, our design team had to think outside of the box and look into more creative, design led wedding rings for our February 2017 brochure launch. The new rings in our wedding ring collection include a beautiful range of decorative and shaped bands, with interesting shapes, twists and curves. We also tripled our offering of finishing touches, giving the customer a much wider choice and allowing for more personal, customized jewellery. Our Rosabella collection, rejuvenated annually and completely re-launched every two years saw some fantastic new designs entering the collection. The new pieces include stunning necklaces, earrings and bracelets that incorporate coloured stone accents and illusion settings. Set with blue sapphires and either HSI or GVS diamonds, coupled with 18CT White Gold, our new designs slotted seamlessly into the existing Rosabella collection, widening the range of styles available. Having taken a look at the highlights, now comes the time to say goodbye to 2017 and focus on the future. We will be back with renewed energy after the Christmas break with New Year's resolutions, prepared to tackle our plans for the next year. Once again, thank you to the staff, retailers, consumers, allied agencies and anyone else who contributed to Domino Jewellery in 2017.